Be in the center of action in your home. At any time. Application that will change the way you automate your home and command the devices! 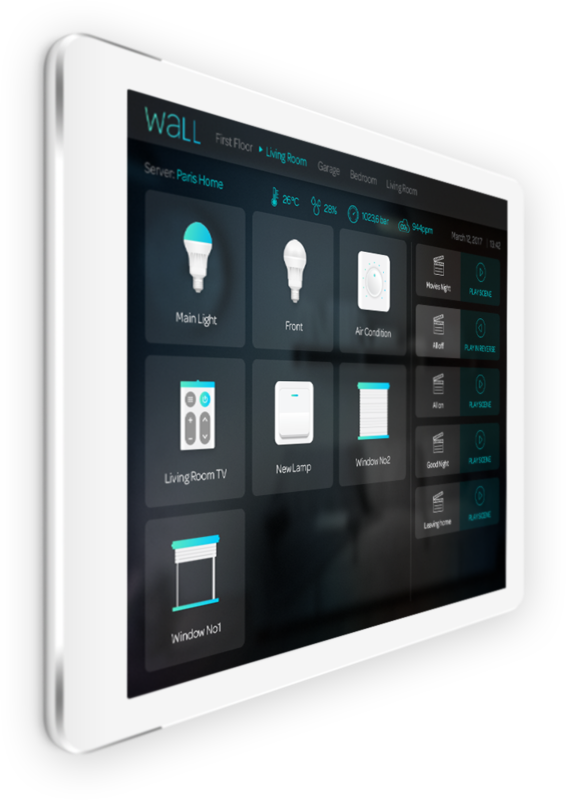 Wall offers the preview of all devices and allows you to adjust their primary functions, activate different scenes within a room and get the necessary information. All from one screen. 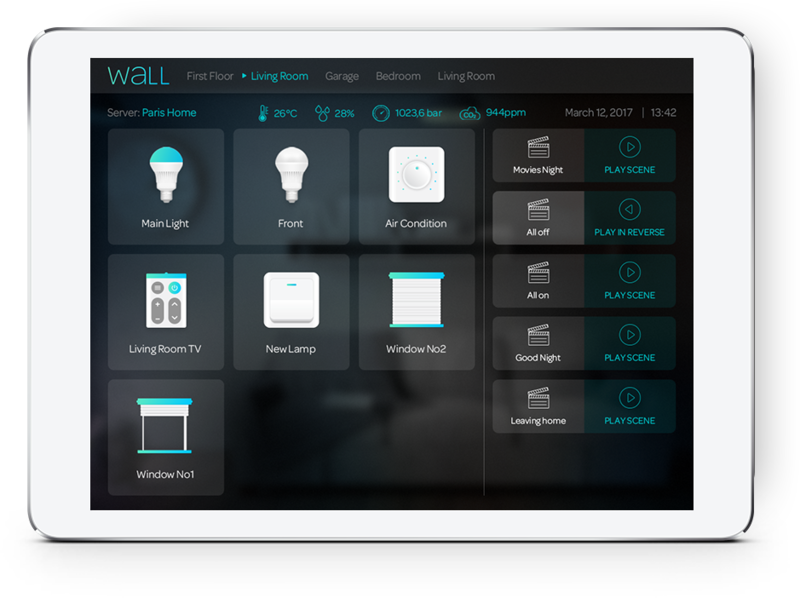 It is a purpose-designed app, so it can be mounted on the wall or any other type of the surface in your home allowing you to have fast access to all your devices. Everyone, including your guests, can use it with ease. They can interact with thermostats, lights, switches, and other devices as if they were standing in front of the actual device. How to use Eynio Wall? With its basic and simple interface that runs mostly tablets, it can be mounted on the wall or table anywhere in your home or company. 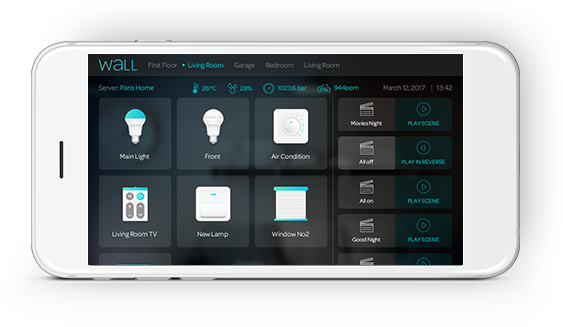 You can set it in every room and control each room separately or in one central place, so you have all rooms and devices at glance. Our tip – Choose a location that fits your needs the best. The hallway is central and you pass through it all the time – when going to bed or leaving the house, so it’s very convenient to take a look at the device’s status or turn on/off some lights at that point.